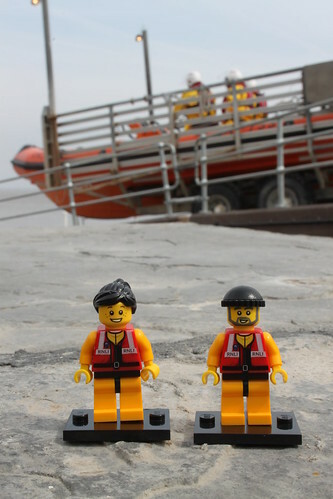 It was an exciting day for the little guys last Friday, as their ‘home’ lifeboat station* at Portishead was adopted formally by the RNLI. It’s been a long time coming, but after two decades as an independent station, the new boathouse was ready, the crew were all set and the new boat – the Atlantic 75 ‘Spirit of Clovelly’ – sat proudly on her carriage. By the time the Crew arrived, a large crowd had already started to gather. 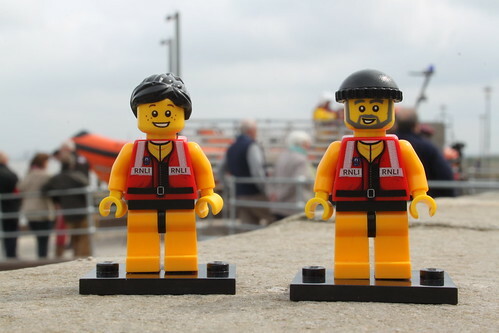 The station’s operational and shore crew were sporting their brand new RNLI jackets, the fundraisers were out in force and key people from the RNLI across the region were also there. 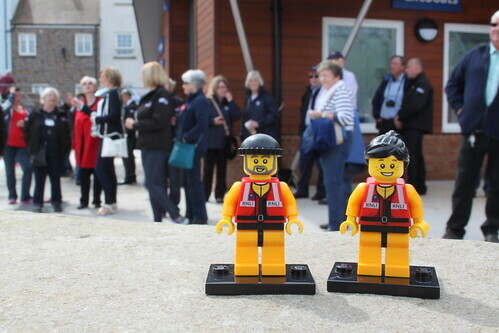 We were joined by a large number of local residents, too, who have been watching with enthusiasm as the station and slipway have taken shape. 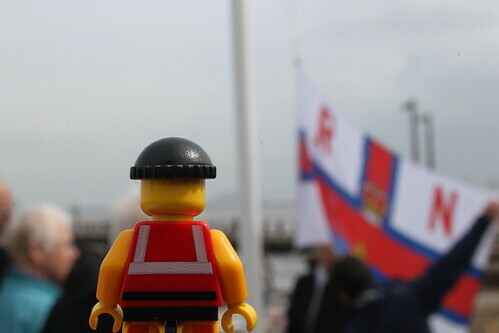 After a few words from the RNLI’s Divisional Operations Manager and the station’s own Chairman, the RNLI flag was raised by our Lifeboat Operations Manager. A proud moment for us all. The end of one exciting journey, in a way, but the start of another. 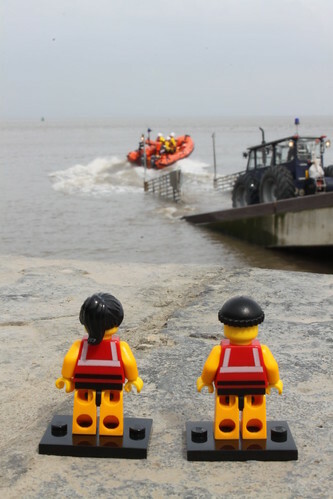 With the formalities over, the station’s crew were keen to get the boat into the water. But first, it was time for photographs and interviews with the local media, who had also turned out in droves. 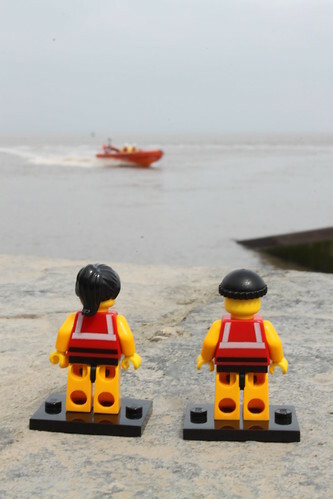 It was not just a big day for the station, after all, but for the town and the many people who have supported the station – and the RNLI – over the years. 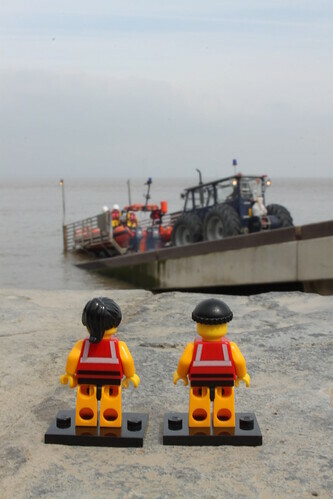 Finally, though, the all clear was given and the shore crew manoeuvered the boat carefully down the slipway towards the murky waters of the Severn Estuary. 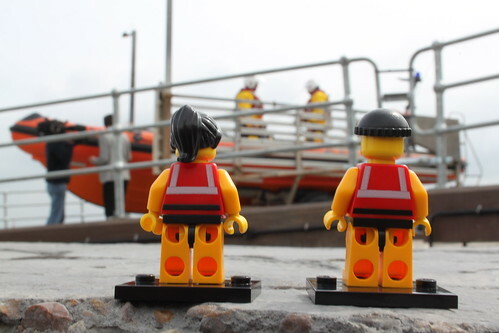 Thankfully, the tide was in, meaning that the boat could be launched directly from the slipway itself, rather than from the rocky beach below it. Seconds later, the ‘Spirit of Clovelly’ was afloat and heading out of her carriage. And while ‘Kevin’ trundled back up the slipway, she showed the crowds what she is capable of. Sure, some of it’s down to our outstanding helmspeople and crew, but she’s a great boat. And the little guys are sure she’ll do Portishead proud, just as she has done the people of Clovelly, in Devon, since 1999. * It’s the Crew’s ‘home’ station because it’s just down the road from where I live. And it’s the one where I volunteer. Oh, and it’s awesome.